The demands of online marketing, especially SEO, can easily cause frustration for the average small to midsize business. New standards for keywords, linking, and most of all, meaningful content can sometimes feel oppressive, as if we’re so many circus monkeys jumping through a series of hoops for a peanut. As several Google engineers pointed out in a recent forum discussion, search engine requirements in many ways help us all. Websites today generally look better, are easier to navigate, and convey more succinctly what they’re about than ever before. Gone are the days when a company could just buy links to ensure a place in the rankings, do no other brand marketing and still show up on page one of the search engines. Now, more than ever before, successful SEO goes hand in hand with other online marketing techniques in a tandem process, rather than by “gaming the system” with a series of technical tricks. Build a brand. Develop your relationship on social media with existing customers-and your potential ones. Allow your website to rise in the rankings with engaging content, strong website design, solid linking and most importantly, the great relationship you’re cultivating with the consumer. That’s what matters, and that is, in the end, what continues to make the web such a exciting place to be. The Huffington Post, a national website and news aggregator, has coined a special weekly feature called “Ridiculous Stock Photos.” Whether a selection of models in commercial photographs eating salad and making faces, or a group of pictures that focus on stock photos of elderly people looking frustrated, these articles point to the silliness of many staged commercial pictures, especially when used to promote a website or business. Don’t get caught in the stock photo trap. Get Captain Marketing’s experts in web layout and design to help you select the very best pictures for your website, ones that will convey genuine feeling and an appealing message rather than just canned-and artificial looking-sentiment. 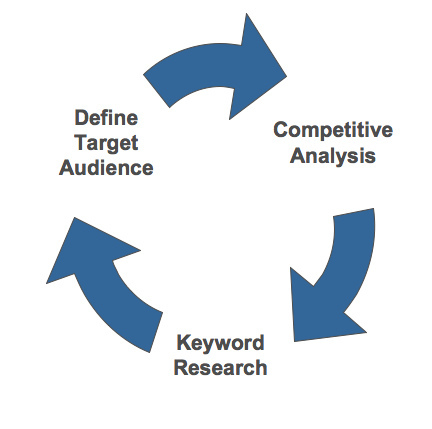 What does SEO, SEM and PPC do for you? Sure, Captain Marketing does just about everything for a small business when it comes to SEO, SEM, PPC, social media and site design. But what does that really mean for you and your company? It means better rankings on Google, with a guarantee of your name on page one. It means a cheaper cost per click for your PPC program, with better quality clicks and a higher return on your investment. For social media, it means an increase in effective postings that get your customer interested and involved with you, today! And when it comes to your website, how effective, really, is your current visual design and content? Do you have an effective call to action currently in place? Is it clear to your customer who you are and what you do, and is it written in a way that lets them know exactly what makes you special? Our web designers can help you isolate and expand the selling points you need to have front and center on your homepage to get your conversion rate up in the sky where it belongs. We’re your all-in-one marketing superheroes, here to help you figure out the sophisticated marketing techniques required to have a meaningful presence online on the internet of today. That’s what Captain Marketing means for you…we’re more than just a cartoon guy in tights. We’re your all in one marketing superheroes, leaving you with time to run your business, while we leap tall computers in a single bound, utilizing the very best online marketing strategies just for you. Let’s talk SEO. For some small business owners, it’s a mysterious process, a complicated goulash of keywords, content and some strange little byproducts of our internet age called “links,” which, if you have enough of them, will magically allow you to land on page one of Google, Yahoo and Bing for your customers to find. Some people think these links look like brussels sprouts, and glow green in the night, but really, they’re bits of code that give information to these search engines. So, you ask, how in the heck does this all work? Don’t worry, you’re not alone in being confused. Search engine optimization is a complicated process, with an algorithm that frequently changes as search engine companies adjust their searching metrics. At Captain Marketing, our tech department constantly researches the very best ways to get you on page one, with 1-way, incoming links built on the right keywords you will decide on with your superhero project manager, who may or may not wear tights. You’ll be speaking to him or her a lot in the early days of your SEO marketing campaign, as you discuss the terms that are most important to your business…and the phrases your customers are actually using as they search the internet looking for exactly the services YOU provide! That’s not all of the story, however. Your project manager will also help you figure out ways to add original content to your website, meaningful information that actually uses your keywords and helps Google, Yahoo and Bing identify you with those terms with which you want to be associated. It’s a multifaceted process that takes time, but with our experience and your input, we can get you the search engine results you’ve been looking for. And no green glowing brussels sprouts needed, either! When you begin an SEO program with Captain Marketing, your project manager is going to talk to you a lot about the research data behind your keywords. What does this mean? Well, like rappelling down a building using spider web extruding from her wrists, your erstwhile project manager is going to research the search traffic and competition for the terms that relate to your business. She (or he, actually, as both men and women with the right combination of brains, talent and looking good in a unitard can work at our company) first will look at the number of people looking on the internet for something using a particular word or phrase. That’s called traffic. You want high traffic for your keywords-lots of people looking for something using your special term. Then your project manager will examine the number of companies using that word or phrase as a keyword for their own product or service. That’s called competition. The more competition you have attached to a keyword, the harder it will be to get on page one of the search engines using it. Your project manager, clad in his or her shiny unitard and using every superhero power available, will then find the keywords that have the highest possible traffic…with the lowest possible competition for you. And then, with a few twirls of the cape, a couple of bolts of lightning, and some other things we’ll discuss in a later blog…SHAZAM! Faster than a speeding bullet, you’re on your way to getting on page one of the search engines with the very best set of appropriate keywords.